If you are looking for the Weight Watchers restaurant points list on this site, click here. If you are looking for answers to some of the most common questions asked about the restaurant list, keep on reading this page. I receive requests and questions daily, so I've added this section to address the most frequent requests and questions related to the restaurant pages. 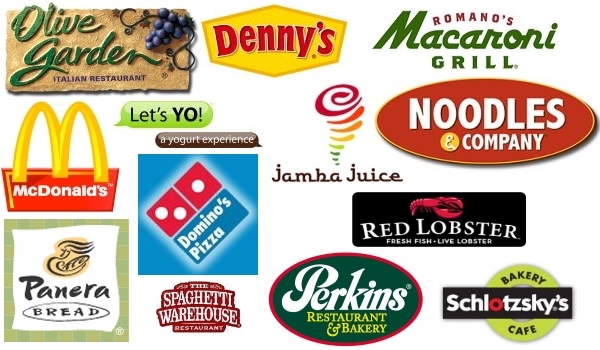 What are the most popular requested Weight Watchers restaurant points and why can't you add these to your website? These are some of the most popular requested restaurants. Unfortunately none of these currently publish nutrition or are lacking important nutrition information in order for me to calculate the smart points, points plus or original values. Cheddars, Cheesecake Factory, Cracker Barrel, Logans, Texas Roadhouse. More and more states are passing laws requiring restaurants to provide nutritional values for their menu items. So these popular restaurants will remain on my list and I will check often for when they publish the details. My favorite restaurant used to be on your list and no it's gone. What happened to it? The Weight Watchers restaurant points may have been removed for one of two reasons. The first is that the restaurant no longer provides nutrition, or the nutrition values don't include what is needed to calculate the points. The second reason is that they use a nutrition calculator for the menu items and no longer provide a PDF download or an online complete menu list. What this means is that each menu item, one by one, would have to be looked up, re-keyed into the excel spreadsheet and then calculate the points. This proved to be too time consuming and I was unable to get to other important areas of the website. So I made a decision to no longer include those restaurants. The good news is that you can now get the nutrition information direct from the restaurants web page and customize it to your order. You can then plug in your custom menu order nutrition information into the SmartPoints calculator to get the values to track. Does the nutrition and points information include sides, dressing or other items? Each restaurant page will have notes prior to the table information for inclusions/exclusions if available. If nothing is stated in these then it is assumed that entrees do not include sides, salads do not include dressing or that the item is "as served". I provide the link to the page on the restaurants website where I got the nutrition. So if you ever have questions about a particular menu item, click on the Weight Watchers Restaurant Points link and you can see what they state as included in that item. Do the SmartPoints account for the new FreeStyle zero points foods? The quick answer is no. Because I do not know exactly how certain menu items are prepared, I cannot for certain know if there are not ingredients that should have a points value or not. For example, if the item is a glazed chicken breast (skinless), I am not able to break out the ingredients of the glaze to calculate just that portion. The restaurants only provide nutrition for the entire entree, and not ingredient by ingredient. So to play it on the safe side, I use the full nutrition value for the entire entree or menu item. Why do the fruits and vegetable items from a restaurant sometimes show a number in the points columns? Similar to the above question, I cannot tell if there are added ingredients like oils, sweeteners, etc. Additionally, I use downloaded PDF files and am working with hundreds of menu items. If I were to take the time to review each item, for each restaurant, this would once again take valuable time away from other areas of the website. Since you are the person who is actually at the restaurant, with the menu in hand, I leave it up to you to know when and when not to use and track the Weight Watchers restaurant points on the list. If there is a value other than zero shown, and if you know for sure these are fresh items with nothing added, then please use the zero points value for tracking purposes. Why do the SmartPoints values differ from what is on Weight Watchers online or their eating out guide? Many of the Weight Watchers restaurant points are from nutrition information that may be out dated. While I try to keep things up to date, there may have been changes to the particular restaurants nutrition. If you are unsure, always check the actual restaurant nutrition online to verify. Each restaurant page on this site shows a link to the nutrition page for that restaurant. I also show the updated date on the list for each restaurant. So if you know they have newer nutrition, please use the information from the restaurant. Since many menu items do not change drastically, you can always use the numbers calculated as a "guide". Why do you list Smart Points, Plus and original points values? Many people have chosen to continue to follow the old points systems (original and plus). While most have migrated to the new Smart Points, I felt it was useful and helpful to those who have not switched to show all three. So for each Weight Watchers restaurants points page, I will continue to show all three for now. If WW ever has yet another points plan, I will drop the oldest (the original) and show only the latest three points values. Why can't you use the nutrition information posted on other websites such as Livestrong.com? I only provide Weight Watchers restaurant points for restaurants that provide the nutrition information directly via their website or as a response to my written request. Because I cannot verify the validity of the nutritional information or WW points, I do not obtain information from websites that are not associated with the restaurant. The only exception to this is if the restaurant itself has a link to the nutrition published on another website. If you don't see the answer to your questions from above, please feel free to contact me using the contact form. Download this free spreadsheet to track the points in the foods you eat and the ones you earn from working out. The daily and weekly allowance are adjusted automatically as you use them. This one spreadsheet will work for either the points plus or the original points system. If you are still following Points Plus method, then se this free online tool to calculate your daily allowance. Thinking of freestyling your diet? Then read this overview to find out what all the buzz is about.